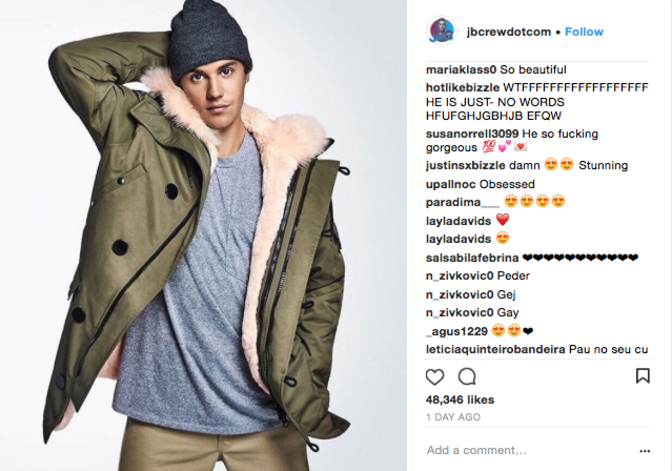 JUSTIN BIEBER is seen wearing BILLY in a just-released German T-Mobile commercial. Bieber is seen wearing the Sammy Pocket Tee which retails for $120.00 and is currently available for purchase exclusively via www.BillyLosAngeles.com . The classic Sammy pocket tee is vintage inspired and a BILLY staple. 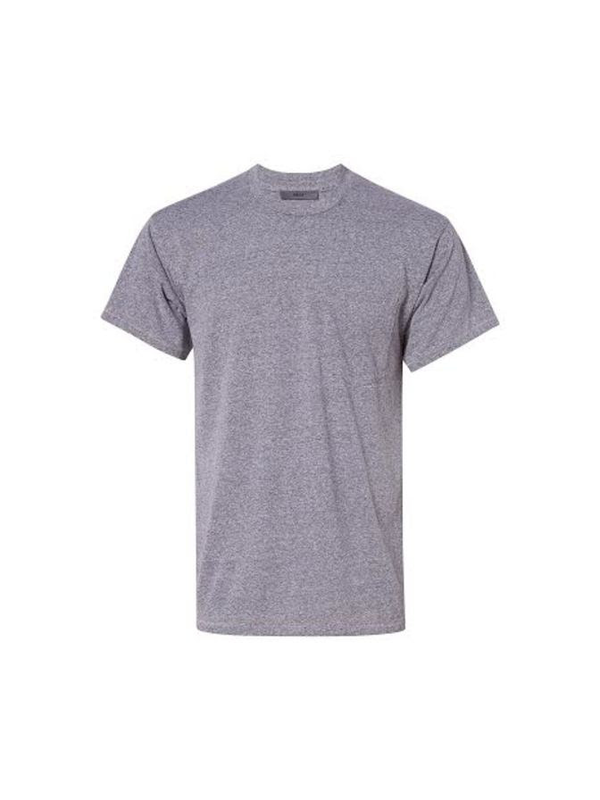 This incredibly soft tee features a left chest pocket and high neck collar. A bit oversized with a longer length, this relaxed fit is perfect to be worn alone or tucked in as a layering piece. Constructed in a triple jersey blend and garment dyed for soft color variation. Description: The classic Sammy pocket tee is vintage inspired and a BILLY staple. This incredibly soft tee features a left chest pocket and high neck collar. A bit oversized with a longer length, this relaxed fit is perfect to be worn alone or tucked in as a layering piece. Constructed in a triple jersey blend and garment dyed for soft color variation. 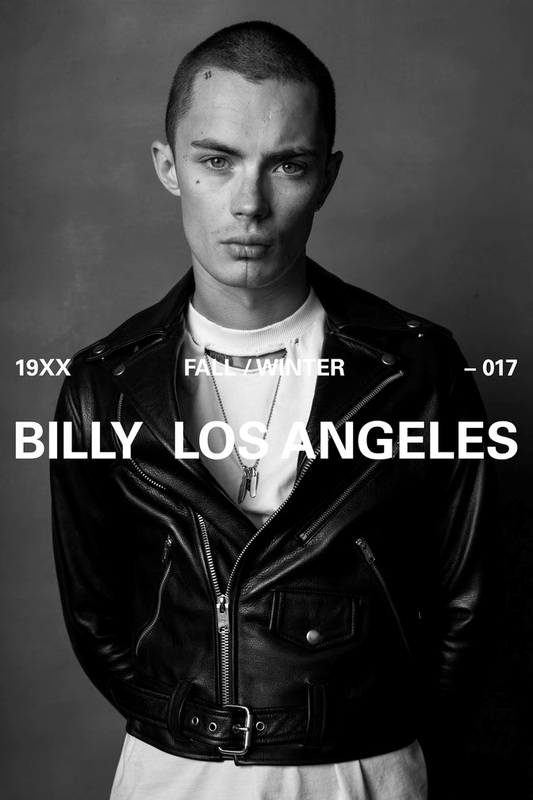 BILLY, founded in 2015, is luxury read-to-wear designed by Holly Jovenall and handcrafted in Los Angeles, California. The brand is rooted in personal narrative and deep craft with exquisite subtlety. BILLY's comfortable basics are versatile and can be elevated or slouched in. Designed as menswear, all of the brand's pieces are adaptable as unisex. Attention to silhouette brings a casual-elegance, enhanced by hand distressed and hand screened details. Paying homage to visionaries like Yohji Yomamoto and Rick Owens, Jovenall's designs are foundational but subversive in their proportions, and bend simplicity into something entirely new. BILLY favors black-and-white, with colors sourced from the best tones of weathered vintage fabric. Jovenall would ask: "What now?" Billy's reply: "Honey, look around." Jovenall's aim was always to launch her own brand, but she took time to be a careful observer of production and tailoring and to build her a vast vintage knowledge base, as well as attention to client comforts. Before launching Billy, Jovenall worked for ten years in the fashion industry, styling high-end private clients and consulting with well-known institutions from Ted Baker to Des Kohan. She houses a covetable vintage collection in LA, referenced and shopped by respected fashion icons, influencers and designers. She's grown her exclusive service into her full line, releasing small capsule collections between seasons. “Sometimes when you want to achieve minimalism it's more,” Jovenall says. Jovenall's first piece for the line was a leather jacket, inspired by a beautifully lived in 1940s vintage jacket bestowed by her friend Taka, an esteemed vintage expert who is an influential mentor. Her training is evident in the brand's thick-ribbed tees, vintage Dickies-inspired trousers that are soft like they were worn to put up an entire skyscraper, crisp lettering and poetic messaging, and wide-cut jackets that swing as you walk. BILLY is emerging with a focus on loyal collaborators, who are cultivating the brand regardless of its successes and missteps, all of which are vital to creative innovation. BILLY is enigmatic, independent and honed by personal style. BILLY is a stance: confidently quiet, comfortable in its own skin.